Historic England archaeologists have recently undertaken survey and excavation to the south of the A303 in the Stonehenge part of the Avebury, Stonehenge and Associated Sites World Heritage Site, as part of the Stonehenge Southern WHS Survey project (Last 2017). 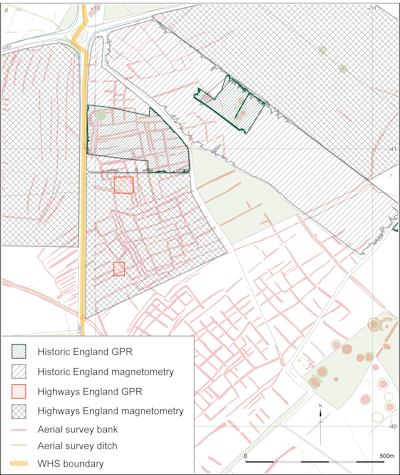 The context of this project is laid out at length in Valdez-Tullett and Roberts (2017), but essentially the work arose from Historic England's awareness of the imbalance of research and knowledge between the north and south sides of the A303. Impetus to improve our understanding was provided by the continuing damage to heritage assets in the area through agricultural practice, and the government's announcement in December 2014 of its intention to produce a scheme for a tunnel to replace the above-ground A303 in the Stonehenge WHS (SWHS). More recently in late 2016 and early 2017, archaeological survey and excavation has been undertaken in the WHS as part of the pre-application evaluation stage of the development of proposals for A303 improvement schemes by Wessex Archaeology on behalf of Highways England (Wessex Archaeology 2016a; 2016b). The post-excavation phases of this work are ongoing, but assessment stage results will be referred to in this article. Both of these projects have provided significant new information about long barrows in the west of the SWHS. These results are presented here alongside a synthetic review of long barrows in the SWHS, including their character, chronology and histories in later prehistoric periods. 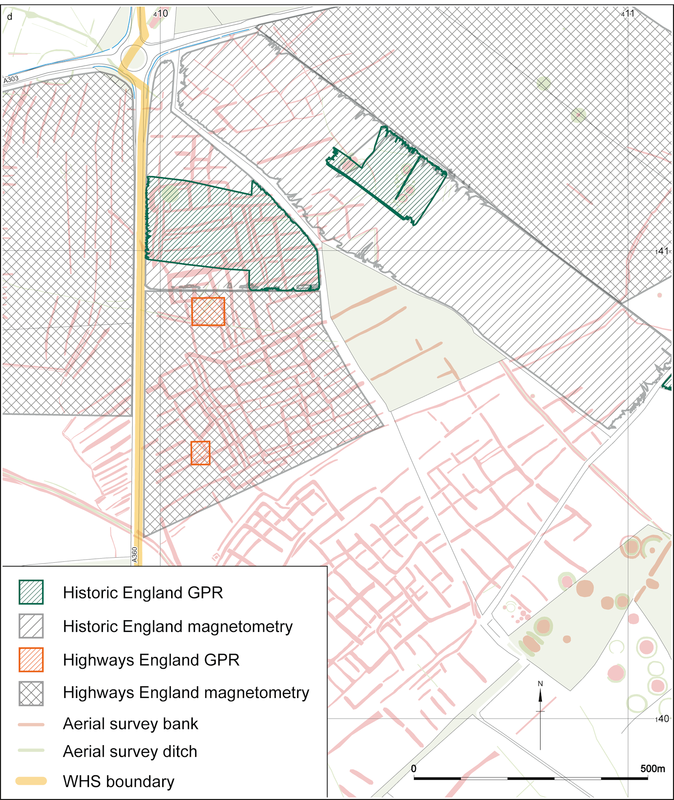 Historic England and Wessex Archaeology undertook geophysical surveys in the west of the SWHS prior to their respective excavations, informing the placement of excavation trenches to characterise archaeological anomalies (Linford et al. 2015; Wessex Archaeology 2016a). The site discussed in this article lies on land owned by the Druid's Lodge Estate just inside the western edge of the SWHS, and comprises two fields to the south-east of the Winterbourne Stoke roundabout on the A303 (Figure 1). The smaller, northern, field is roughly triangular, and lies between the A360, and the Diamond Wood. The Historic England geophysical survey was restricted to the northern field, whereas later work by Wessex Archaeology covered the larger field immediately to the south, which slopes gently to the south towards a small, shallow dry valley. The area lies on the Cretaceous Upper Chalk, with overlying humic rendzinas of the Andover 1 Association (Soil Survey of England and Wales 1983, Sheet 6).